"Display Maps". The Soil Maps of Asia. European Digital Archive of Soil Maps – EuDASM. Retrieved 26 July 2011. 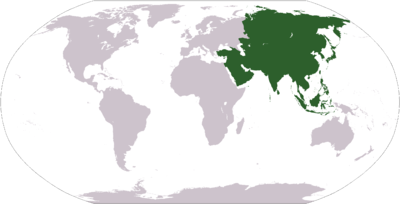 "Asia". Norman B. Leventhal Map Center at the Boston Public Library. Retrieved 26 July 2011. ↑ "Continents of the World". The List. Worldatlas.com. Retrieved 25 July 2011.